The bills would ban the use of assault-style weapons within city limits and allow guns to be temporarily seized from those deemed too dangerous to own them. 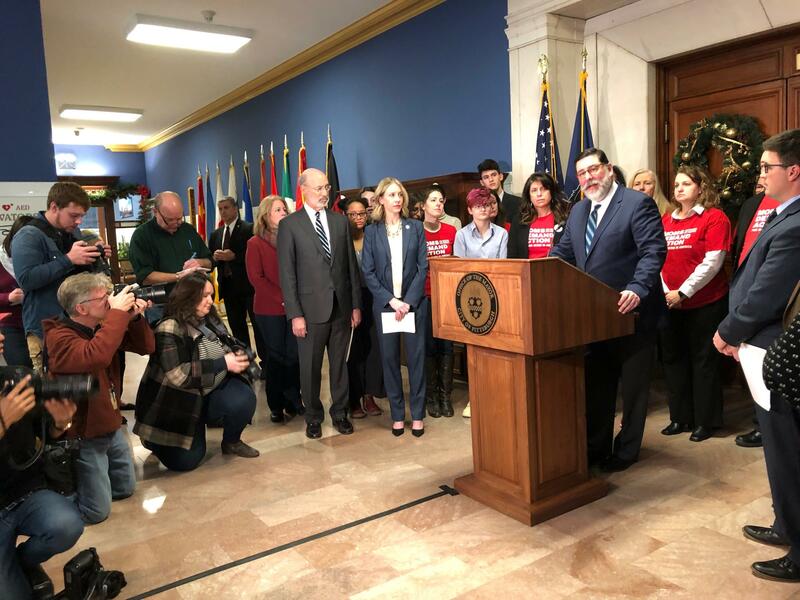 Mayor Bill Peduto speaks at a press conference announcing a package of gun reform bills on Friday, Dec. 14, 2018. Under the law, ownership will still be legal and any temporary seizure would require court officials to rule—at the request of family members or law enforcement—that someone is likely to harm themselves or others. Opponents say the legislation violates Pennsylvania’s preemption laws, which prohibit local gun control measures. Peduto tells The Confluence he understands he could be breaking state law, but says a court challenge is necessary to create a safer community—especially if lawmakers in Harrisburg or Washington fail to act. 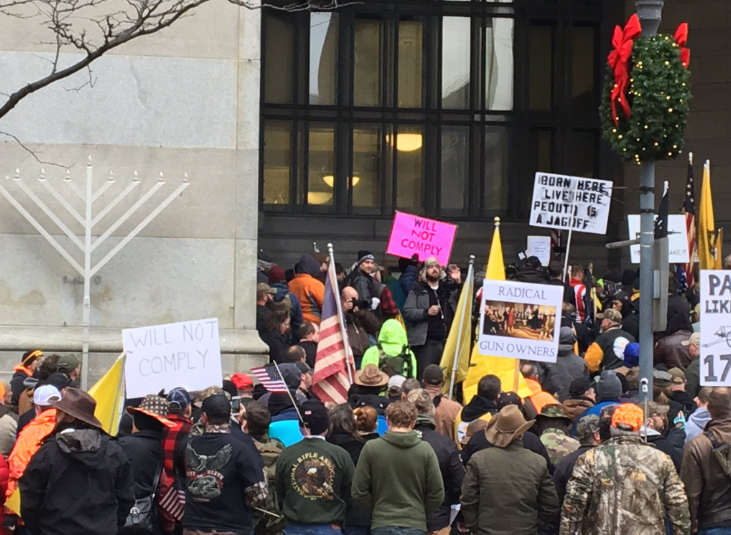 Protestors, many openly carrying guns, gather in downtown Pittsburgh to rally against City Council's proposed restrictions and banning of semi-automatic rifles Monday, Jan. 7, 2019. Peduto will be joined by the six City Council members who voted to approve the bills proposed after last year's Tree of Life shooting in October. Gun rights advocates have promised to sue in response. Peduto says he's received several offers of pro-bono representation from local and national law firms. Peduto says he's headed to Toledo, Ohio on Wednesday to talk to other local leaders through the U.S. Conference of Mayors about harnessing police departments' collective buying power to move the gun industry away from high-powered weaponry like armor-piercing bullets. "These types of weapons don't belong in cities," he says, "and we should be using our taxpayers dollars in order to come up with ways that would incentivize good behavior from the gun manufacturers and the ammunition suppliers." Bankrate crowned Pittsburgh as the nation’s No. 1 city where home ownership is attainable, safe and fun for residents. Arch Autenreith, president of the Realtors Association of Metropolitan Pittsburgh, says that while the Pittsburgh metropolitan area is growing, homes remain affordable for some first-time buyers. And the Allegheny County Health Department has issued significant fines against U.S. Steel in the past year for emissions violations at Clairton Coke Works. The most recent penalty was announced last week, and another is expected as a result of emissions after a December fire damaged the facility’s pollution controls. Amy Sisk, who covers energy for 90.5 WESA and StateImpact Pennsylvania, reports that the increase in penalties against U.S. Steel has led to a decrease in violations.